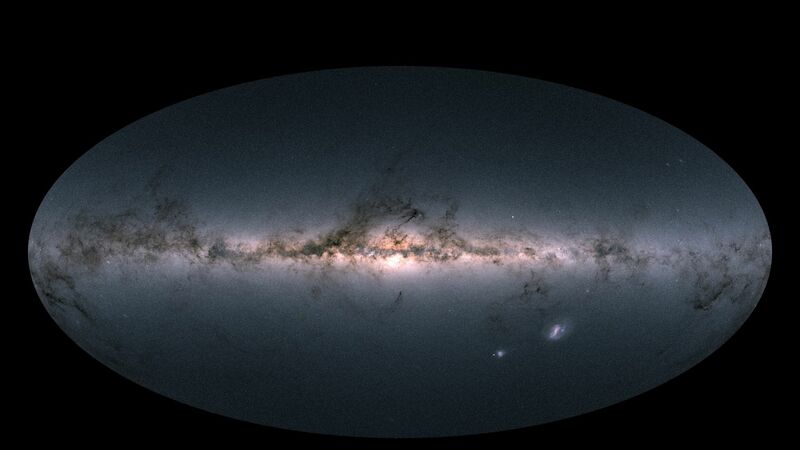 With the richest vein of crystal-clear images of the galaxy to date, researchers are mapping the past orbits of stars to get closer to understanding the Milky Way's history. Why it matters: "Astronomers, who had previously catalogued just 2.5 million of the brightest stars in the galaxy, are hailing a new era of precision astronomy," reports Quanta magazine's Natalie Wolchover. The observatory has tracked 1.7 billion stars with often astonishing precision. It provided the position of 14,000 asteroids and a half million quasars, galaxies that are powered by "supermassive black holes at their core." "For some of the brightest stars in the survey, the level of precision equates to Earth-bound observers being able to spot a Euro coin lying on the surface of the Moon," the European Space Agency said in a news release. The result "places us in a unique position to ... open the most exciting Galactic archaeology playground to date," researchers from the University of Strasbourg said in a paper on the Gaia data.